I read this article and found it very interesting, thought it might be something for you. The article is called 15 Things To Do in Namba and is located at http://trip-n-travel.com/listicle/14265/. 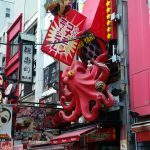 If you want to experience the eclectic fun of lights, splendors of shopping and delicacies of traditional cuisine, Namba (Minami in Japan) gives you that perfect spot. Being one of the two major commercial districts in Osaka city, this Southern section presents the greatest tourist attractions. The tourists will be pleased with abundant options for dining and shopping. There are trains, subways and highway buses through which the district can be accessed. 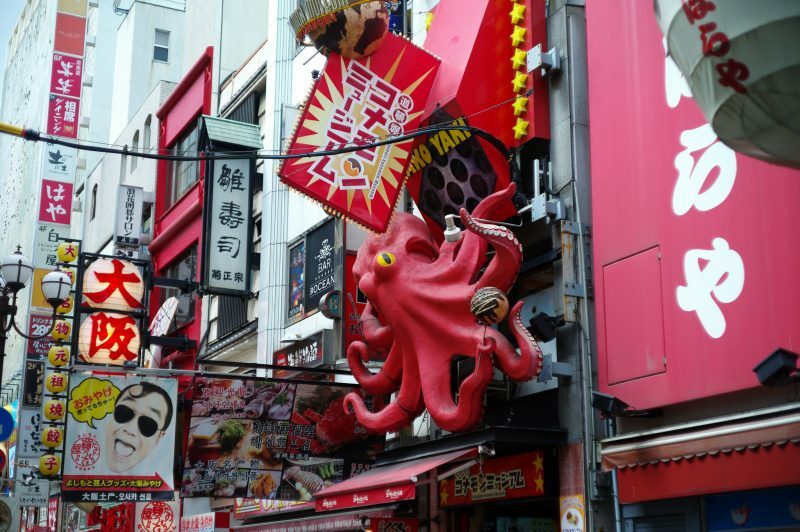 Let’s dive into the attractions of Namba that are waiting to welcome you. 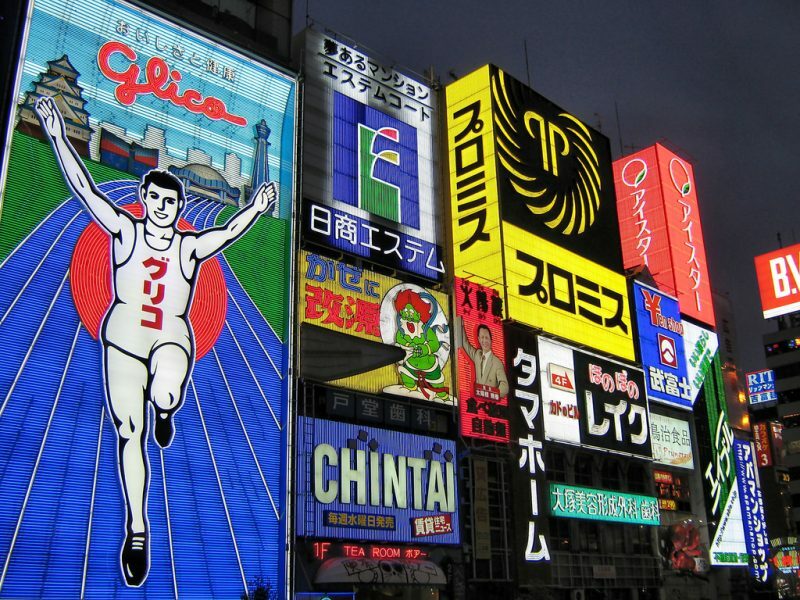 Remember the famous Glico running man sign? 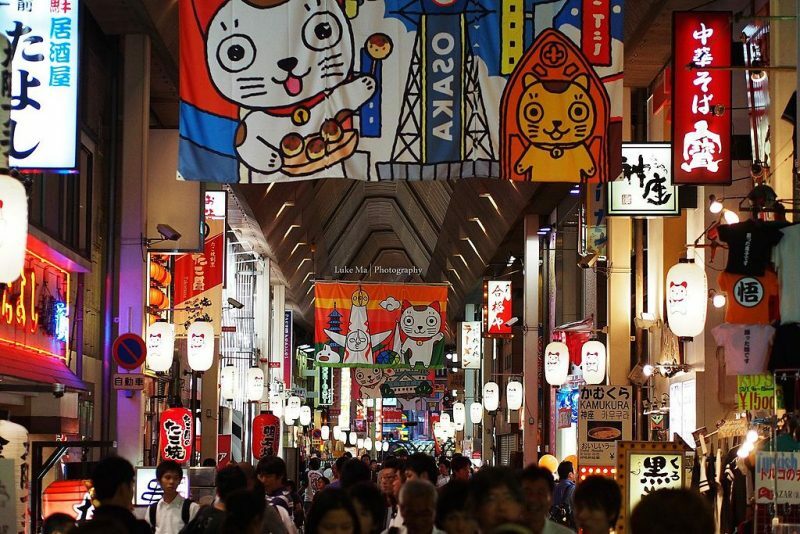 That is the popular shopping and food destination in Namba, known as Dotonbori. Lit by thousands of neon lights and colorful signboards, the Dotonbori street is situated beside the Dotonbori Canal. 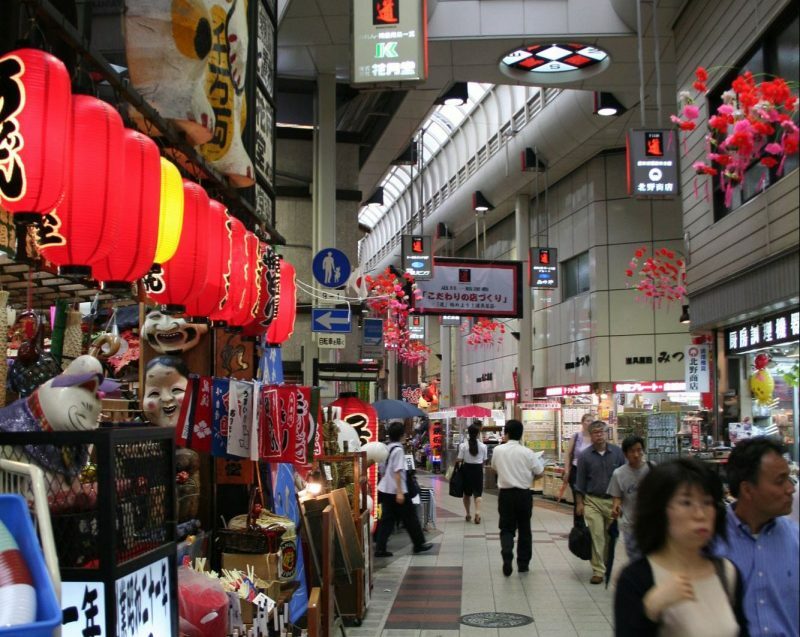 The place is one of the most popular tourist destinations in Namba, Osaka. You can have fun at some of the best theaters, shops and taste the best street foods at this place. Your can’t finish your Japan trip without purchasing high-quality electronic equipment. Since the country is famous for the renowned brands like Panasonic, Olympus, Sony and many more, Den Den Town is the area worth visiting for acquiring a variety of electrical and electronic accessories and equipment at a bargain price. There you can find out different Manga and Anime retailers as well as many of the shops selling video games. Dive into the splendid beauty of architecture rejuvenated with nature’s blessings, Namba Parks is totally a different shopping destination. The sightseeing place is designed with a beautiful integration of nature with urban lifestyle. You can visit a number of shops as well as restaurants offering a variety of cuisines. It features amphitheater, shops, cinema and the most fascinating of all is the rooftop garden. This garden houses around 70,000 plants and presents an unparalleled beauty that will take your stress away. To have fun with the beautiful performance of puppets, you must visit National Bunraku Theater. This is a complex consisting of two halls and an exhibition room. The theater presents different performances similar to Kabuki presented by meter tall puppets. 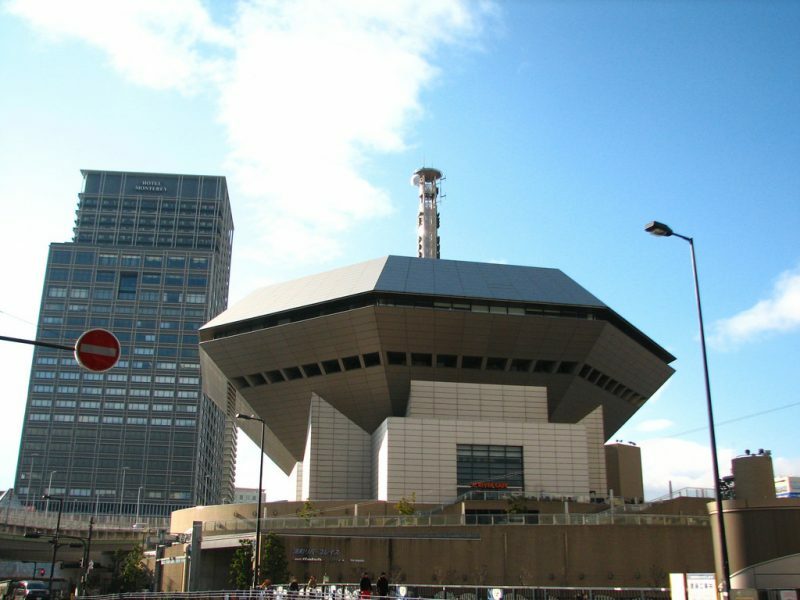 The Japan Arts Council operates this theater and arranges different plays, seminars and exhibitions throughout the year. You must not forget to explore the real essence of shopping and tremendous nights at 400 years old shopping avenue of Shinsaibashi-suji. This 600-meter long street is filled up with around 200 shops that consist of top designer boutiques, fashion labels, and many other small shops. You will find this place perfect one for every tourist with the low or high budget. Access: 35 minutes drive from Nankai Airport Express to Namba Station and take subway Midosuji (red line) from Namba station to Shinsaibashi Station. Built in the Edo period during the 17th century, the Hozenji Yokocho temple will take you back to the older era. The temple is located in the narrow alley that has a temple on one side and the other side is packed with traditional restaurants and izakaya. You must visit the temple and see the people worshiping the statue of Fudo-Myo and receiving its blessings by pouring water over it. Takashimaya Osaka Store is a nice department store closest to Namba Station. The store has many floors that offer a variety of accessories, whether you need bags, cosmetics, furniture, watches, ladies and gents’ wear. But above all the food sold out here is truly amazing. You will fall in love with delicious pastries, chocolates, bento boxes and Sashimi and other varieties available here. And most interesting thing is the discounted price that you can avail at the time of closing. So, you can enjoy yummy food items at up to 20% discount. Access: Just right next to Namba station on the Midosuji, Yotsubashi and Sennichimae subway lines. In order to be historically touched with Japan, you should have a visit to Namba Yasaka Shrine. This is a worth seeing temple that has been displaying its amazing glory since many centuries. Especially, the lion’s head shaped building sounds truly amazing and mesmerizes the tourists. It has been the central place for the believers of Shinto and they religiously visit the temple to worship. You can extend your adventures by including music in your trip as well. At Namba Hatch, you can witness the great musical fun as this music hall is dedicated to great musical events and concerts. Whether you like jazz, rock, pop or hip-hop music, Namba Hatch has always something to please your ears and soul. The outside stage is mostly used for different kinds of events including, art events, beer festival etc. Located at the distance of a very short walk from Namba station, you can easily access the place. 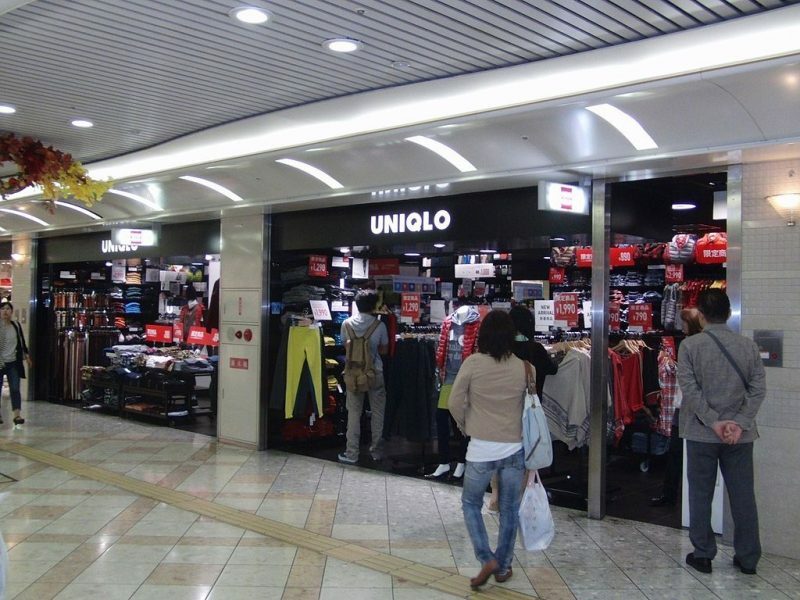 Access: A short walk from Namba station on JR Kansai Line, Subway Yotsubashi or Midosuji Line. Directly connected with the Namba station, the Osaka City Airport Terminal is the biggest bus terminal in the Western Japan. A well organized and clean terminal that offers a convenient place to get shuttle buses to various locations. There are shuttle buses running (from 2nd floor) to Kansai International Airport, intercity express buses that connect Namba to cities nationwide, as well as limousine buses to Osaka International Airport and Kobe Airport. A rooftop garden beautified with 200 species of trees present a scenic beauty to be experienced. Try the fun of hilarious Japanese comedy at Namba Grand Kagetsu Theater. The theater was opened in 1987 and is the headquarter of Yoshimoto (a universal brand of Japanese comedy). The theater is equipped with modern innovations and equipment. 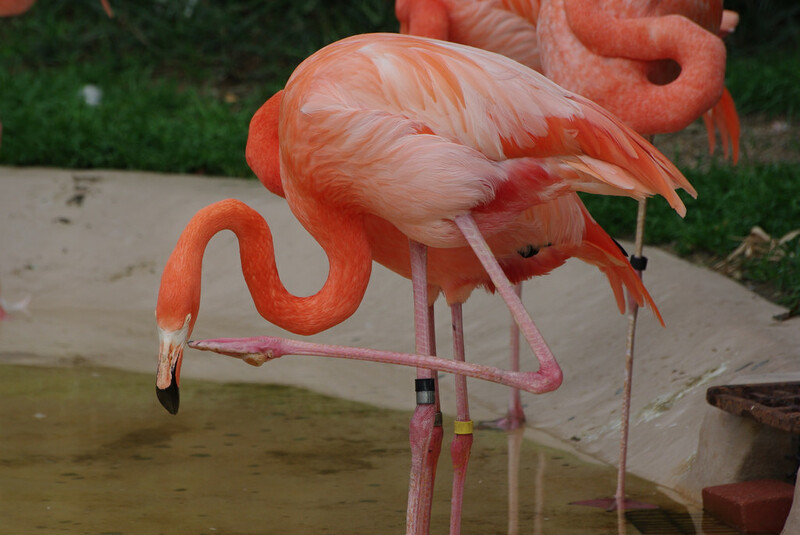 The different types of comedy performances can be enjoyed as well as some other events like acrobatics, music etc. are also organized here. You can spend some of the most relaxing hours by availing the best spa served at New Japan Sauna & Spa Plaza. The bathing house features separate bathing facilities (3 for men and 1 for women) and is equipped with latest bathing accessories as well as bathing towels and robes. 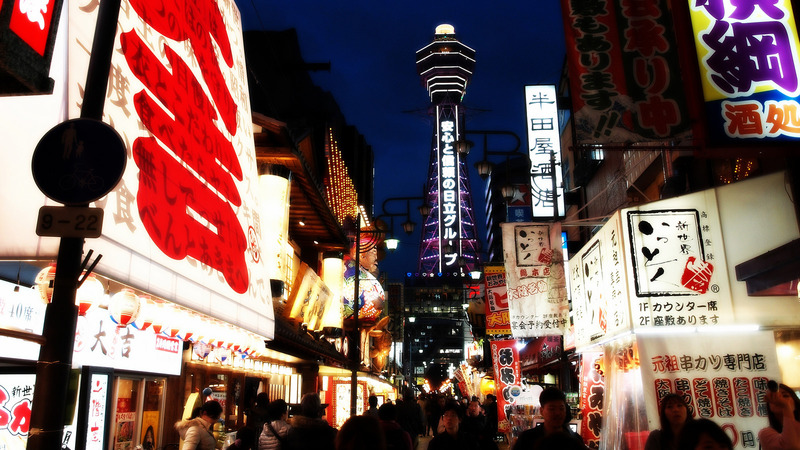 Osaka is known as the Kitchen of World, as the city is the house of world class chefs and cooking experts. So, how is it possible to wrap up your trip without visiting Osaka’s most famous kitchen shopping street. At Sennichimae Doguyasuji Street, you will find the world’s best kitchen utensils and cooking ware like Japanese pottery, knives, aprons and a lot such kitchenware can be purchased at reasonable prices. While the nearby streets have some great restaurants and shops to serve you with pleasant food. Get a wonderful opportunity to have the sightseeing views of Minami area while enjoying the splendors of cruise trip. The Tonbori River Cruise takes tourists and locals on an amazing cruise of Tonbori river for a duration of about 20 minutes. You need to show the tickets at the ticket counter in order to get lined up at the boarding entrance. Namba has never ending fun for its tourists. 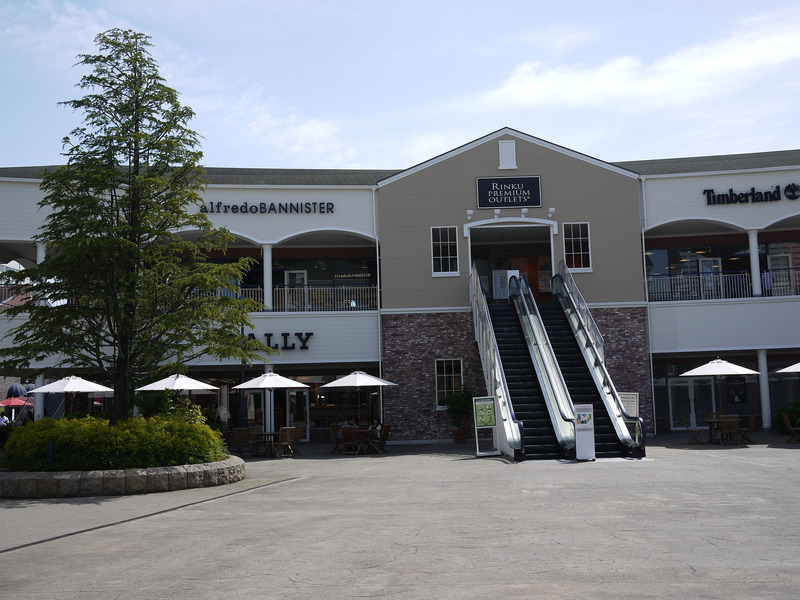 That is the reason, the place is accommodated with a wonderful avenue for true shopping fanatics. The Namba Walk is a long street (much like a mall) consisting of hundreds of shops, restaurants and cafes. Here you can explore the shops selling top fashion labels, handcrafted art, books as well as great gourmet food and coffee. Besides shopping facilities, the place has lots of activities for art and music lovers. It also connects to subway stations, Osaka City Air Terminal and Kansai International Airport. With so many attractions, activities and scrumptious food, Namba is definitely a worth seeing place. Once you read through this guide thoroughly, you will have an ample of information to plan a memorable trip to this great place. So, get your bags packed for this unforgettable trip that has many things for you to unfold and explore. 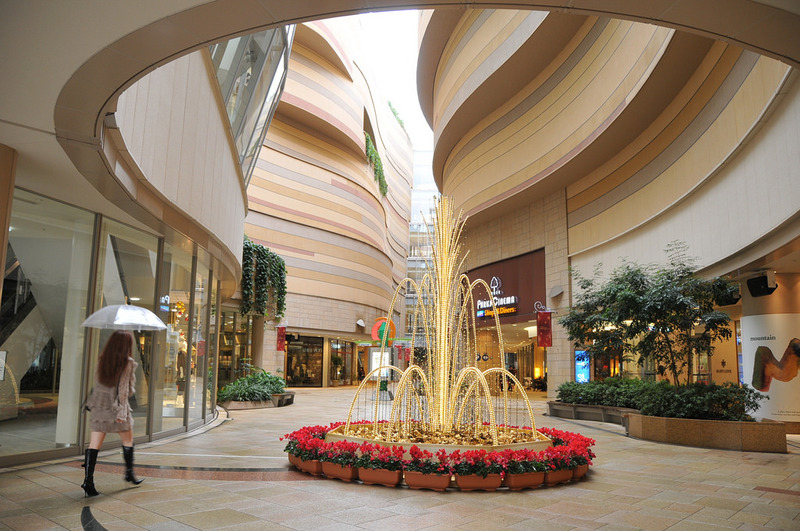 Be it nature, food, art, music or shopping, Namba is waiting to embrace you warmly for every fun.